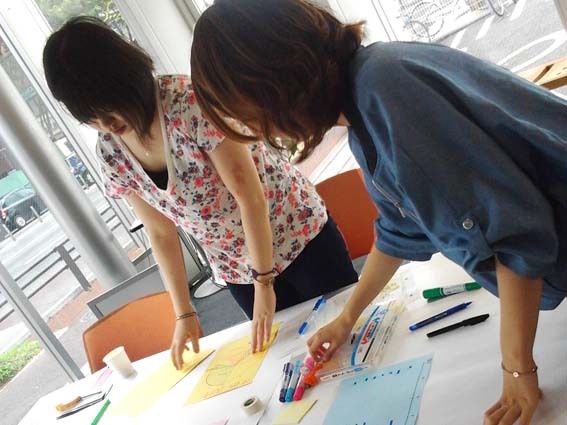 As part of Feeler design concept contextual inquiry, two co-design workshops were organized with students of Kyushu University Design School. The aim of these sessions was to explore issues dealing with the use and visualization of Quantified-Self data for improving learning and well-being. 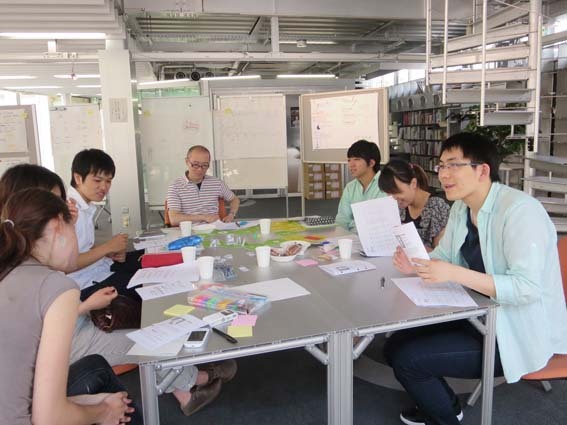 Workshop participants were design and architecture students from Japan, South Korea and China. In total, 12 students took part in the workshops. The structure of the session consisted in a general introduction, playing a board game based on self-monitoring practices, designing data visualizations, as well as sharing and assessing the participants’ creations. 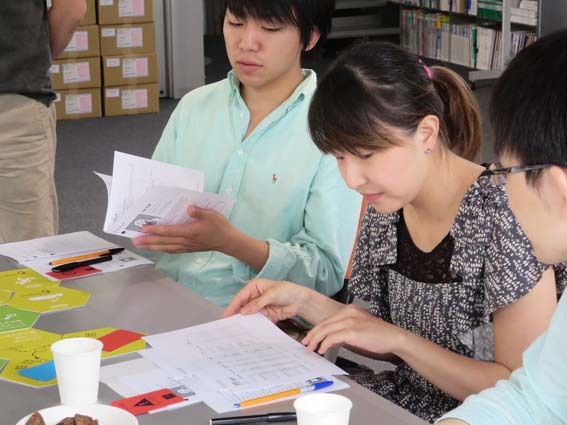 The game followed a journey structure and portrayed the different stages that people go through when self-monitoring their activity in order to change a behavior. The pawns that players picked at the beginning of the game were connected to personas, whose motivation for self-monitoring was described in the character cards that participants received after making their choice. In order to complete the game, players had to reach the last square of the board, which represented behavior change. This could not be achieved unless participants had acquired a minimum of 40 points. Points were obtained depending on the decisions that participants made while playing. Some of these decisions dealt with: the type of data to monitor, the device used for collecting the data or the type of data visualizations. 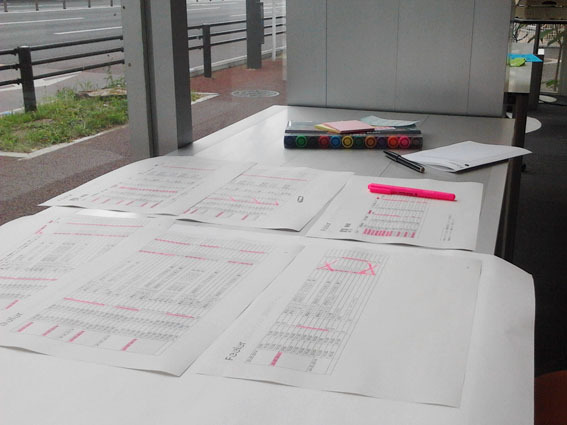 At some point, players were asked to design how they would visualize the data collected about their character’s behavior (previously they were given the datasets corresponding to period of time they wanted to monitor). Designing the data visualizations and sharing the different proposals were the most important parts of the workshop, and therefore the ones in which players spent most of the time. The artifacts created during the game were used as a basis for discussing challenges and opportunities connected to the visualization of their behaviors data. These discussions helped narrow the design concept and define some implications for the prototype design. In this regard, one of main aspects is the importance that qualitative indicators, such as feelings or mood, have for the users. During the game, when asked to select the type of data that they would like to monitor, all the players picked, in at least one of the areas concerning Sleep, Physical activity and Study activity, “feelings”. In the case of tools for data monitoring, most of the players decided to use specific wearable devices. However, in a survey distributed after the workshop, participants stated their rejection towards additional devices and expressed their wish for smooth, “invisible” ways of monitoring information. The contradiction between decisions taken during the game and participants’ opinions, make us reconsider the limitations of role-playing as research methodology. Considering the survey answers, in this case we might argue that role-playing limited the range of answers and didn’t allow participants’ free and personal expressions. 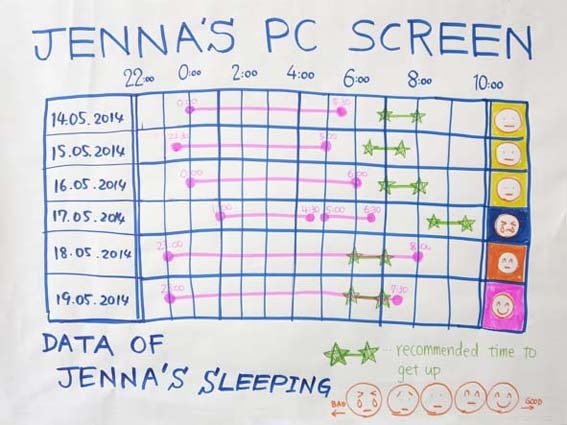 In relation to the type of visualization, most of the players decided to visualize their data on screen displays rather than ambient or wearable visualizations. 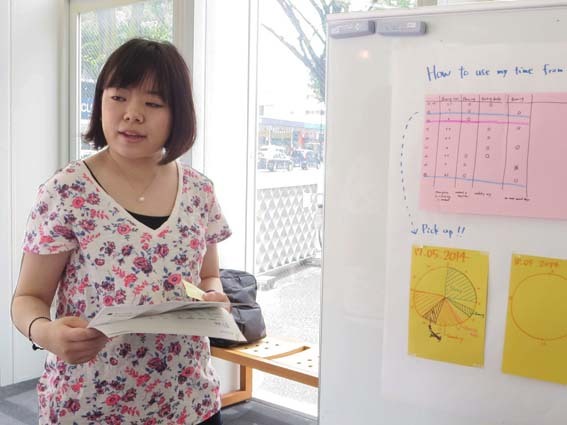 Surprisingly, during the subsequent discussion, participants considered that these other types of data visualizations offered promising solutions and expressed their wish to include them in their design proposals. Quite probably, players made their choices based on their level of familiarity with each of the suggested categories discarding the lesser known options. During the workshop, one of most interesting discussions dealt with the space and time that participants feel more comfortable to reflect. In other words, when and where do participants reflect about their everyday practices? In this regard, most of the attendants indicated that the time slot they usually allocate to think about their practices is 10-15 minutes in the evening-night. At that time, most of them are at home and their attitude is quite relaxed. Other interesting issues are related to the role of the user. Most of the attendants didn’t want a system that offers them coaching or recommendations services. 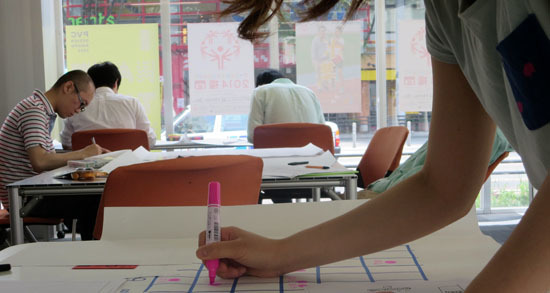 In this regard, participants wanted to have an active role and build their own meanings. Finally, attendants expressed some concerns regarding sharing their personal data. Some of them were not interested at all in connecting self-monitored data with social networks, whereas other participants would like to be able to share their data if they could set some restrictions.